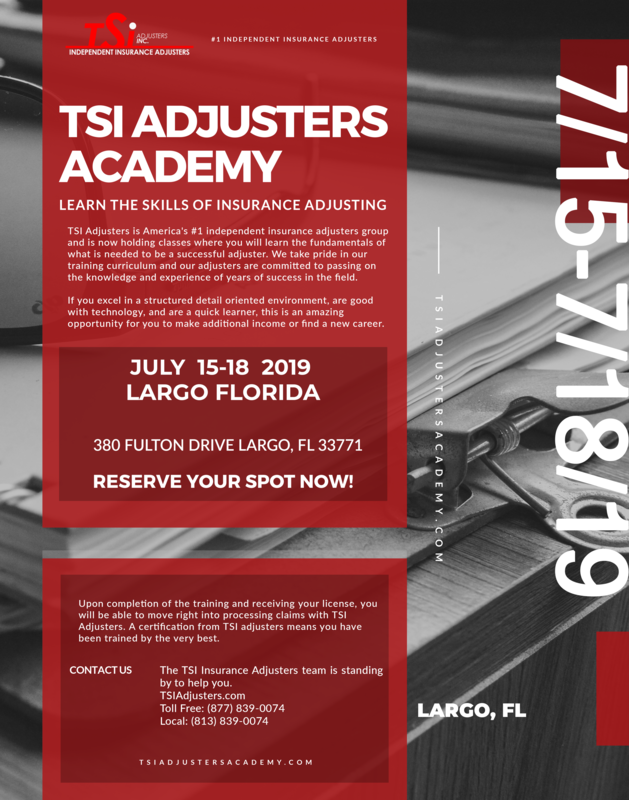 TSI Adjusters is one of America's leading independent adjusters group and we take pride in our curriculum and experience of years of success in the industry. Upon completion of training and receiving your license, you will have a great advantage toward moving into this industry, with understanding and tools to move forward. The TSI Insurance Adjusters team is standing by to help you. © 2019 TSI Adjusters. All Rights Reserved.